I just want to write a short review about the soaps that I recently tried since a lot of you are asking me to update you about my skincare routines and all that so here it is. Please note that these products were sent to me by the brands but I am not paid to create this review. 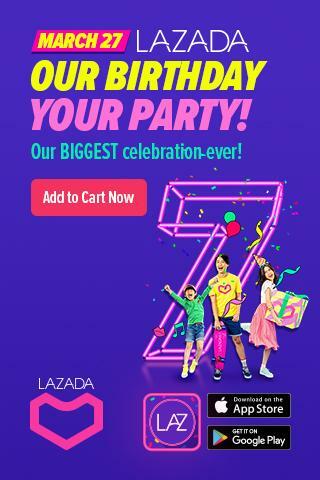 I just wanna share you my honest feedback about them (as usual). Also, I wanna reiterate that I only used these soaps on my body since I am under acne treatment right now. 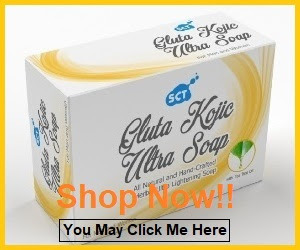 SCT Gluta Kojic Ultra Soap is a handcrafted herbal soap which ingredients are imported from Japan. Virgin Coconut Oil, Palm Kernel Oil, Glutathione, Water Caustic Soda, Kojic Acid, Soap Parfum and Tea Tree Oil. The packaging is very detailed and straightforward—all you need to know about the product is clearly printed on the simple box which I super love. 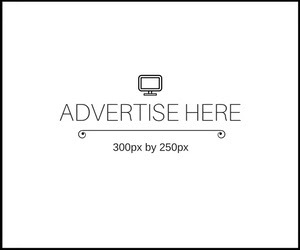 When you opened the product, you'll see a leaflet embracing the soap which you can read to have thorough understanding about the brand and the soap. The soap smells good for my liking (it's not too strong nor overpowering). I used this soap for one whole week and I noticed that it gives me that glowing and youthful skin. I experience micro peeling which means the soap is working. It has a bit of itchiness because it's drying but the itchiness is tolerable and can be solved by a moisturizer. 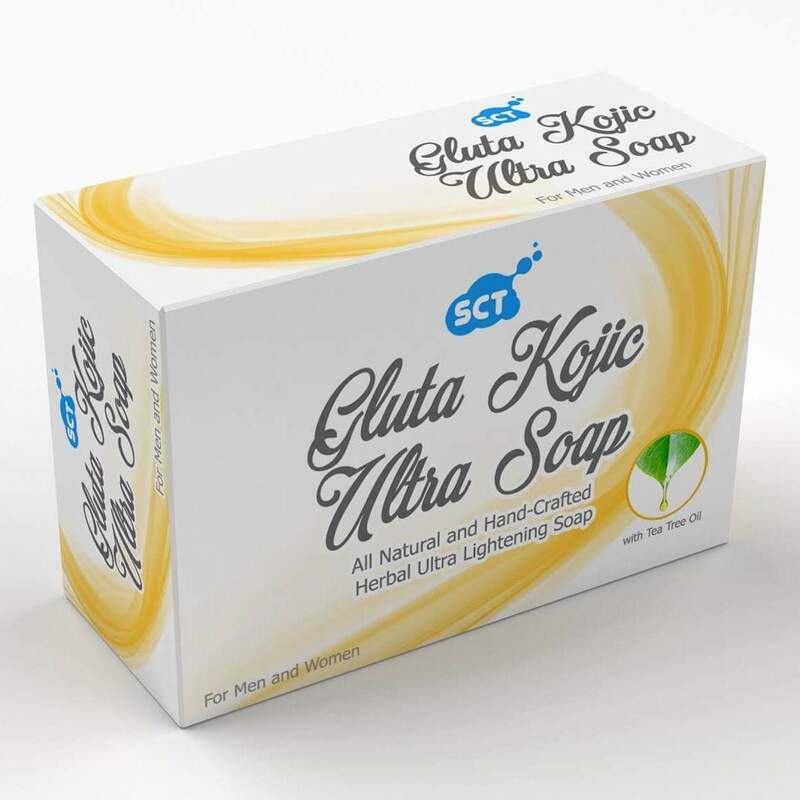 I also tried the other variants of SCT soap and I super love them as well. My personal favorite? It's the SCT Glutathione Tea Tree soap. For me, it is mild and strong enough to make me fairer. I mean, it's not too strong and not too mild so it's perfect for sensitive skin like mine. A Harry Potter inspired organic soap that claims to whiten and improve the overall condition of our skin. 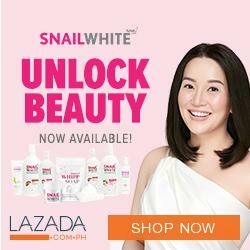 It's a powerful love potion that attracts beauty and glow. Premium natural and organic ingredients deeply penetrate the skin to activate healing and protective charms! Active ingedients: Bearberry, Arbutin, Rosehip, Vit C, Vit E, VCO, Placentol, Papaya Extract, Placenta, Collagen, Tea Tree, Aloe Vera, Glycerine, Licorice Extract and Perfume Oil. You can sense that the owner of this promising whitening soap is a Harry Potter fan like me because of its fantastic packaging. I mean who wouldn't believe that it's magical and can turn our skin fairer? Look at that packaging dude! 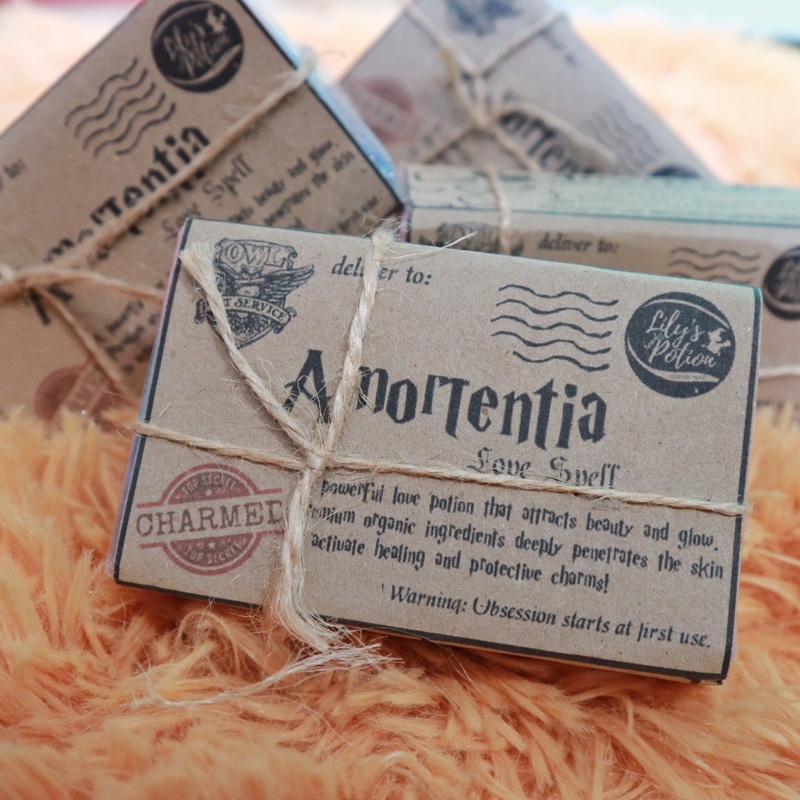 It's effective in terms of whitening and the good thing about the Amortentia Soap is it's not painful even if you're soaking the product on your skin for few minutes. Thanks to VCO, tea tree, and Aloe Vera because it makes this product not itchy and not irritating. I noticed that my skin is micro peeling after every use of this amazing soap. It's a good sign that my skin is on its way to a lighter complexion. Even if it has micro peeling effect, it's not that drying and itchy like mentioned above.